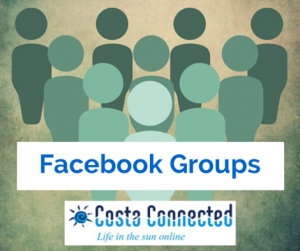 Once you have your Facebook group up and running, you need to actively moderate it – like any group of human beings interacting different elements and behaviours are needed to make it gel and function, rather than self combust or drift apart. Of course both of these things happen on facebook groups heaven knows, but starting with the idea that you actually want a friendly, sociable and interactive group, how do you make that happen? Well a lot depends on the people in it and why they are there. If they are a community of interest with things in common like an enthusiasm for an activity or an area it’s easy to start discussions, get conversations rolling. Ask questions, encourage responses, interact with and respond when people reply and soon you will have a conversation going on rather than a broadcast, and that is really what groups are all about. Smaller groups and newer groups will need active encouragement to get things going. Online there is no such thing as ‘build it and they will come’ – as many a would-be webmaster has found to their disappointment. People need a reason to stick with your group and get involved, and if you are trying to get a community of interest going then you need to stimulate it. Find interesting and of course relevant articles to share, things which people will find useful but might also have something to talk about. Maybe some things that pose a question or include an element of controversy – but be aware that incorrect or untrue statements, expressed as fact on Facebook rather than opinion, can be subject to laws of libel and defamation so be careful. You want to steer clear of that and encourage lively debate rather than bickering and put-downs. You might have to set some rules, for example there are people who seem to join every group they can find on Facebook purely to try and sell rubbish. Some of these you will spot when they ask to join the group – joined Facebook 2 weeks ago, member of 200 groups, and their profile picture apparently looking more like an iPhone or a pair of Ugg boots is a pretty dead giveaway, and those are easy to spot. Less easy to pre-empt are the people who join a group about local kids activities, because they do live in the area and maybe they are even a parent – but then proceed to spam up your group with details of their utterly irrelevant business services. It’s just so rude – imagine you invited them round to a party at your house, and they proceeded to work the room dishing out business cards and trying to flog things, you probably wouldn’t be friends for long! Some people really have no idea how to behave socially online, and you as the group administrator can provide clear guidance on what is or is not acceptable via the ‘About’ info, and also by creating a post which you then ‘pin’ to the top of the group. Take a look at Family Active Costa Blanca for an example of my own, where I have spelled out exactly what the group is about, what may or may not be posted there, and what’s expected in terms of content. It’s pinned there for everyone to read, and if anyone there starts promoting their plumbing or QROPS business I am afraid it’s straight for the delete key, second offence or catching me on a bad day means a ban as well as delete. And that’s a small, quiet group. Large groups such as wide area based buy and sell groups can easily wind up with thousands of users and vast quantities of content posted daily, enforcing the rules and courteous behaviour can become a staggering job. Stopping the conversation veering off topic, straying into libel and abuse, dealing with people flagrantly violating the groups own rules about frequency and content of posting – it can easily become a full time job. Luckily group owners can appoint any number of administrators to co-moderate alongside them, and they have all the same powers other than being able to delete the whole group – they can delete comments, delete posts, remove members and ban them, and generally help to crack whips and keep order. Group members too can be vociferous guardians of quality standards, and indeed some people are very quick to scream ‘admin! !’ whenever they perceive a violation of any kind… not always necessarily remembering that group admins are unpaid voluntary assistants rendering their service to the community around their other commitments. Of course such vigilant complainers often make great co-admins, and between you you can stay on top of it all. Of course anybody can tag a post within a group as spam, using the drop down arrow at the top right of the content, however it’s important to remember though that all this does is flag the notification at the top of the group page for the next time the administrator visits the group page. It doesn’t ping them an alert, or come round to their house and shake them out of bed in the middle of the night to scream in their ear that something posted in their group has caused offence… Some patience, peer accountability and realism of expectation is required. That’s how we roll at https://www.facebook.com/groups/Costaconnected/ anyway so do come and say hello if you’d like to discuss anything related to social media and how to use it. If you have any knock-off RayBans however this is not the group for you!